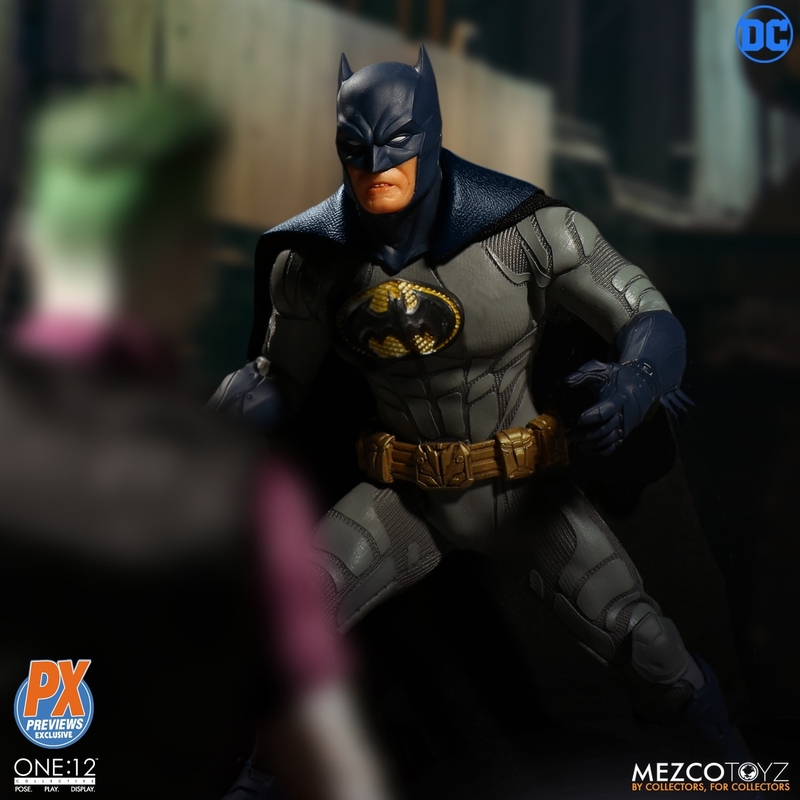 Mezco will be releasing a new One:12 Collective Batman: Sovereign Knight Batman figure and this one looks incredible. 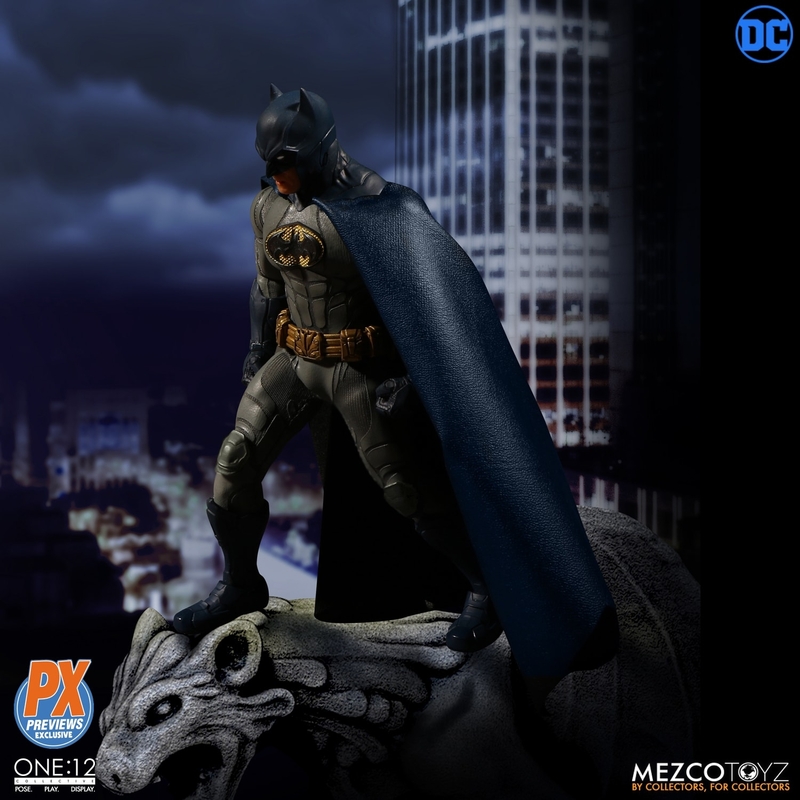 This will be a Previews Exclusive and if you missed the last PX exclusive, then this is the one you will want to get. 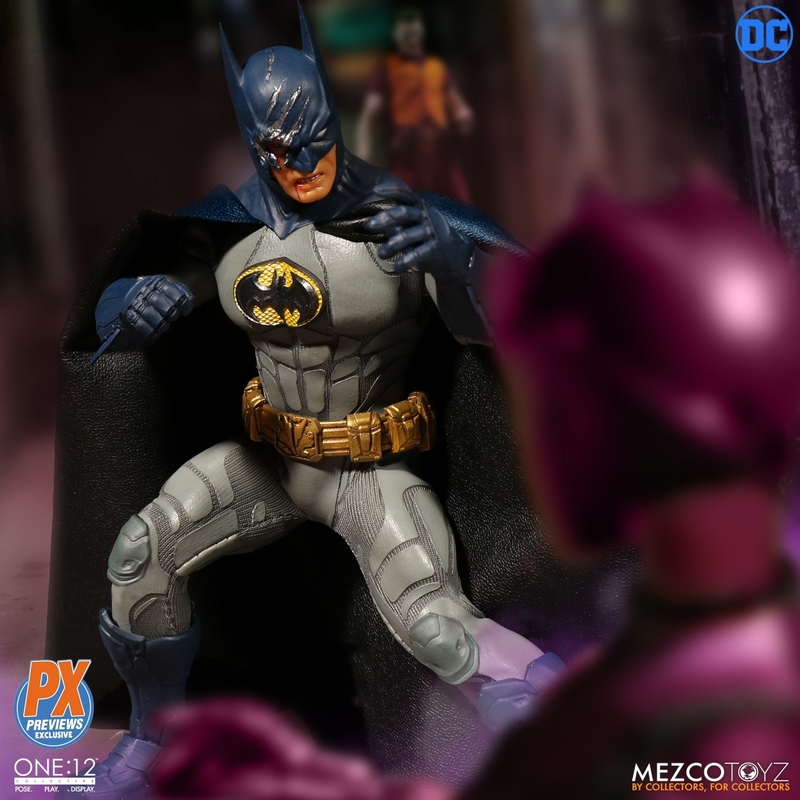 This release will be loaded folks and to me, this version seems to be the best one to date. 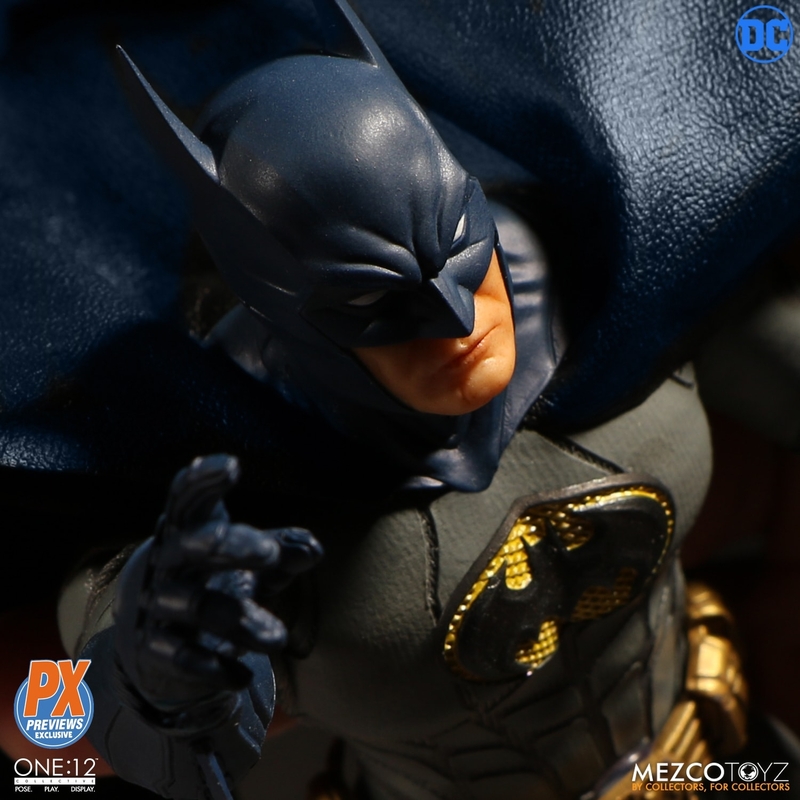 The PX Exclusive One:12 Collective Batman: Sovereign Knight figure. 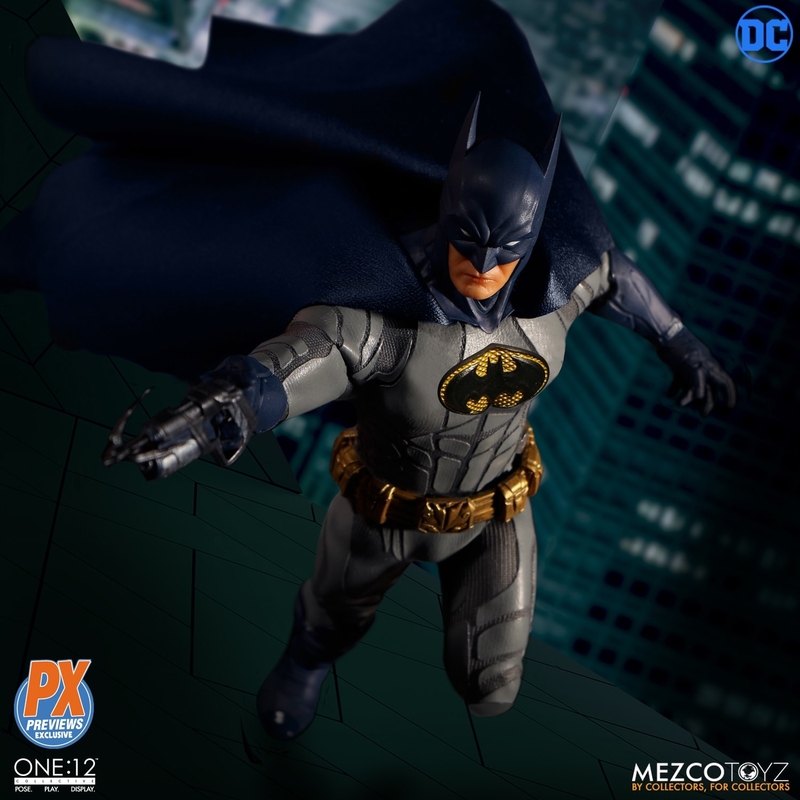 This second installment of the One:12 Collective Batman trilogy features Batman at his prime. 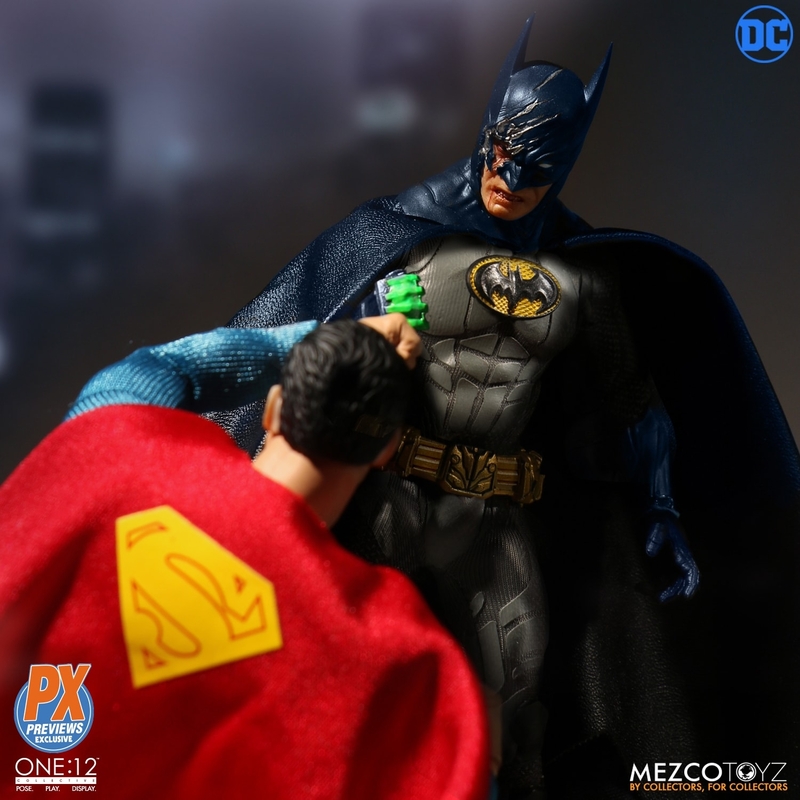 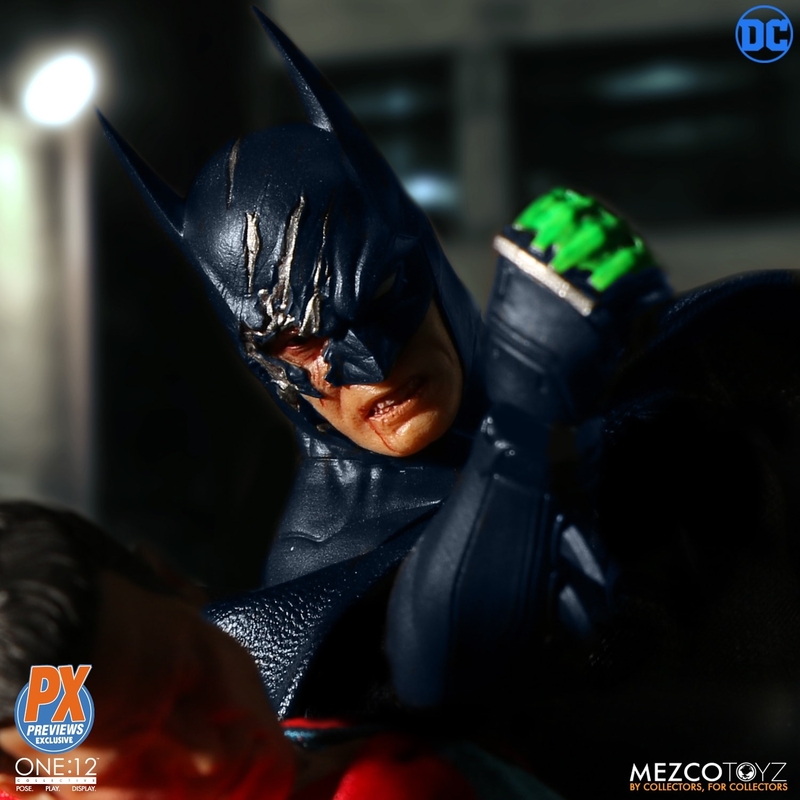 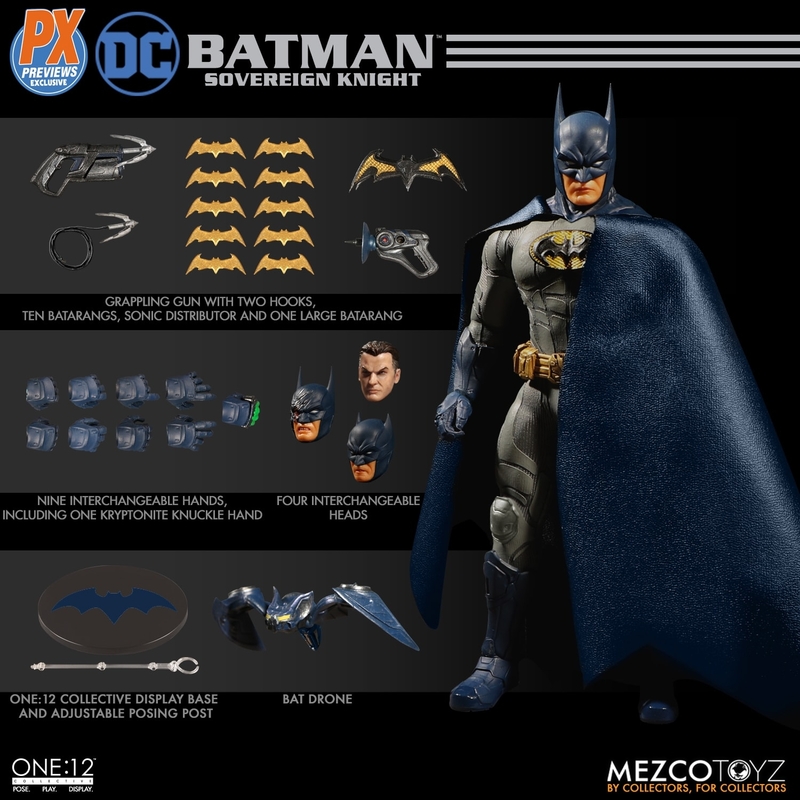 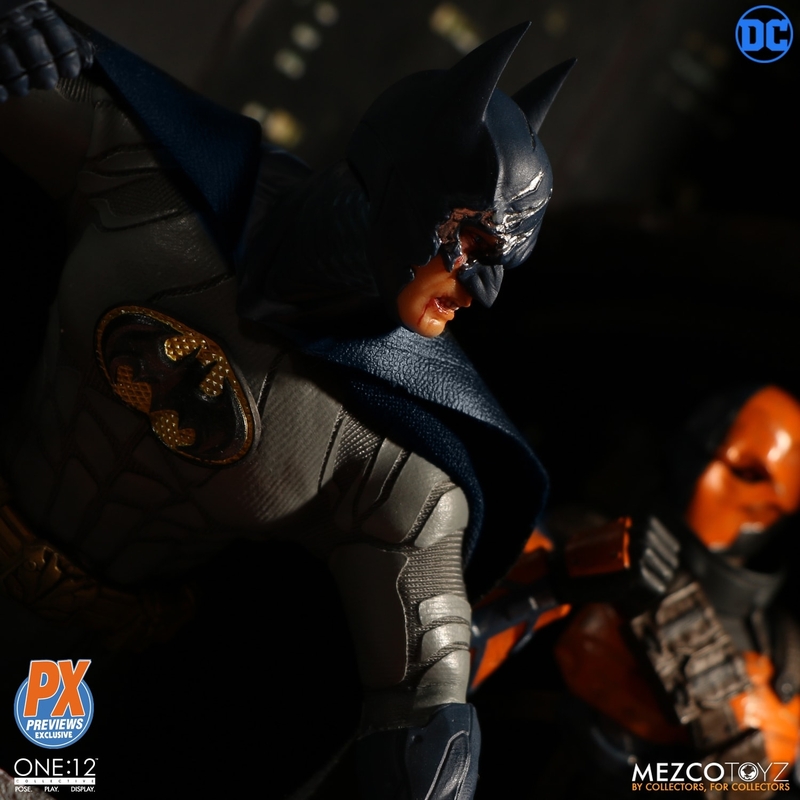 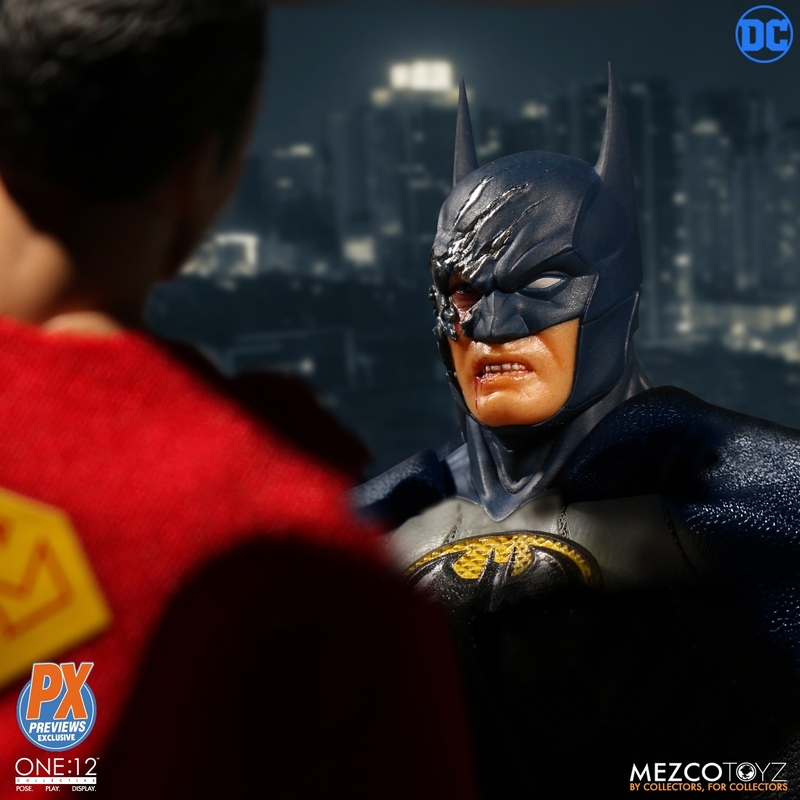 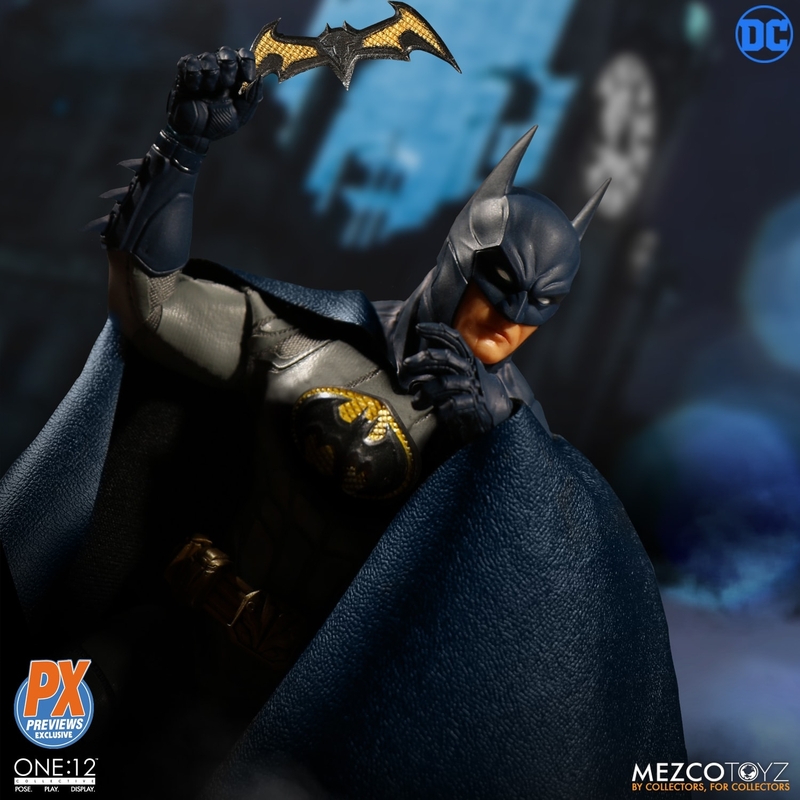 The PX Exclusive Edition is the Sovereign Knight Batman in his classic dark blue and gray comic-inspired Bat-Suit with the iconic yellow oval chest plating. 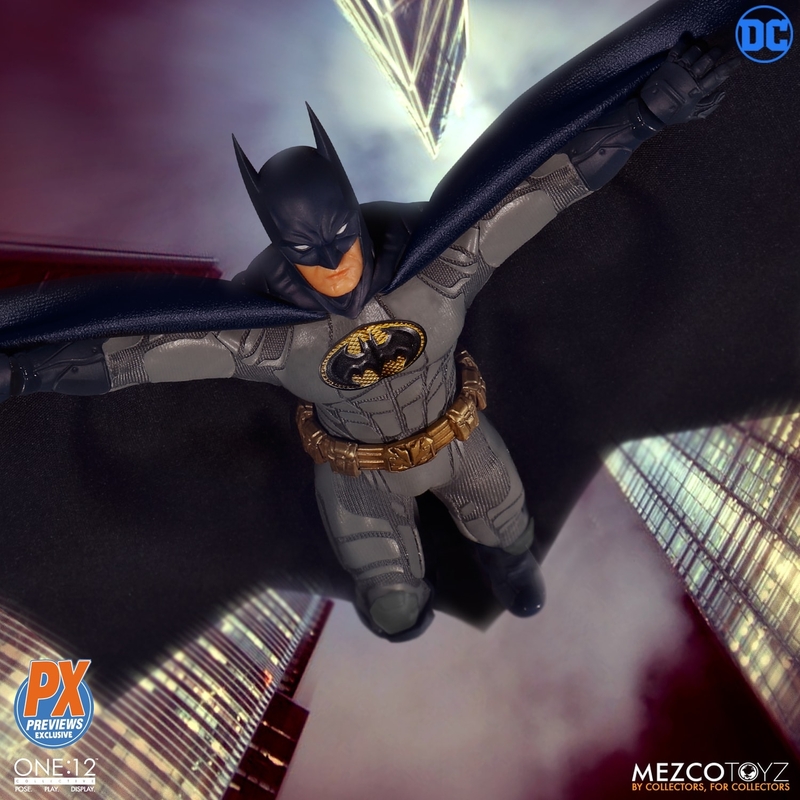 This edition celebrates the Dark Knight’s look as realized by some of comic’s most esteemed artists from the 1970s to today. 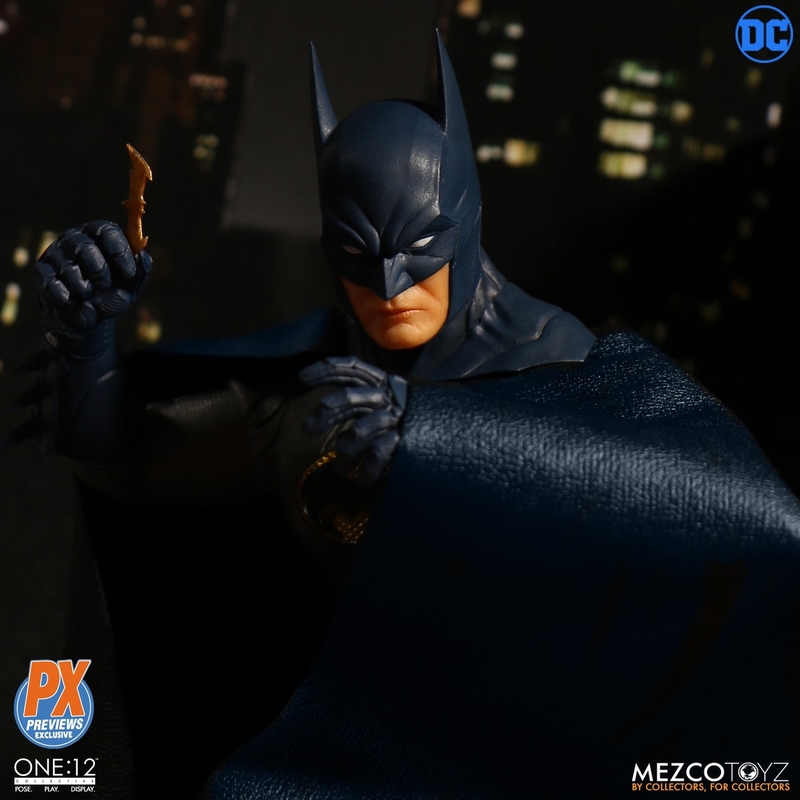 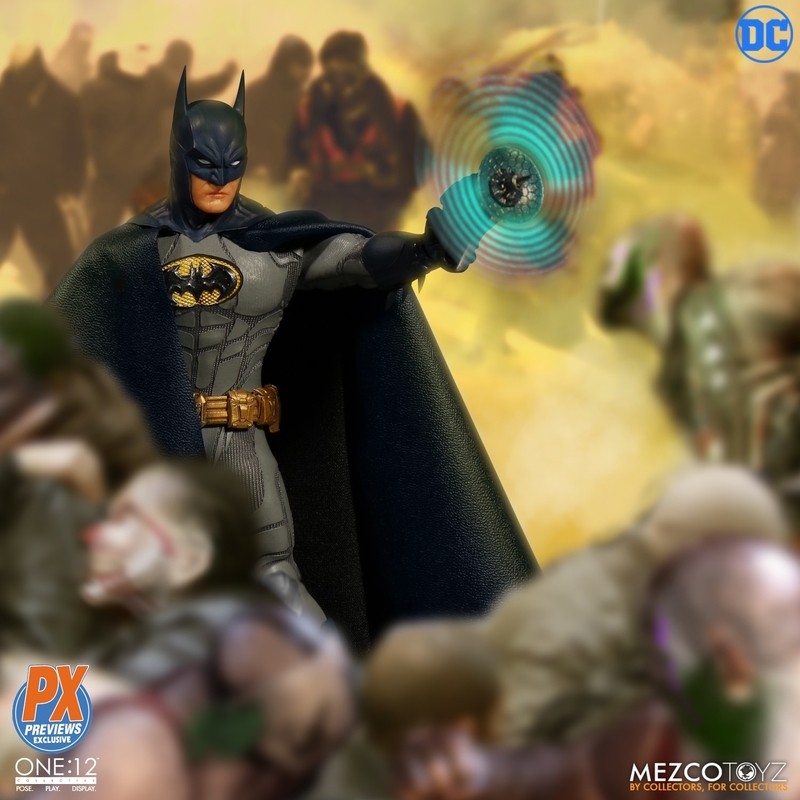 The One:12 Collective Batman: Sovereign Knight PX Edition includes multiple interchangeable heads and hands and is loaded with Bat-Gadgets including a Bat-Drone and Sonic Disruptor. 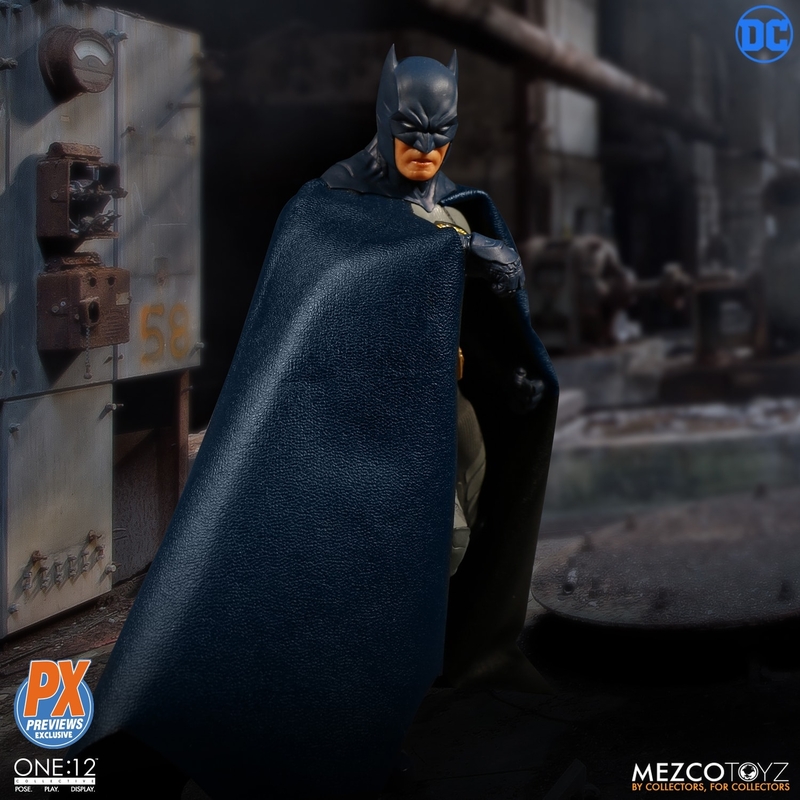 The updated arsenal of weapons, and an enhanced Bat-Suit complete with tactical boots and body armor detail, lend the Caped Crusader increased protection and mobility to face off against Gotham’s biggest brutes. 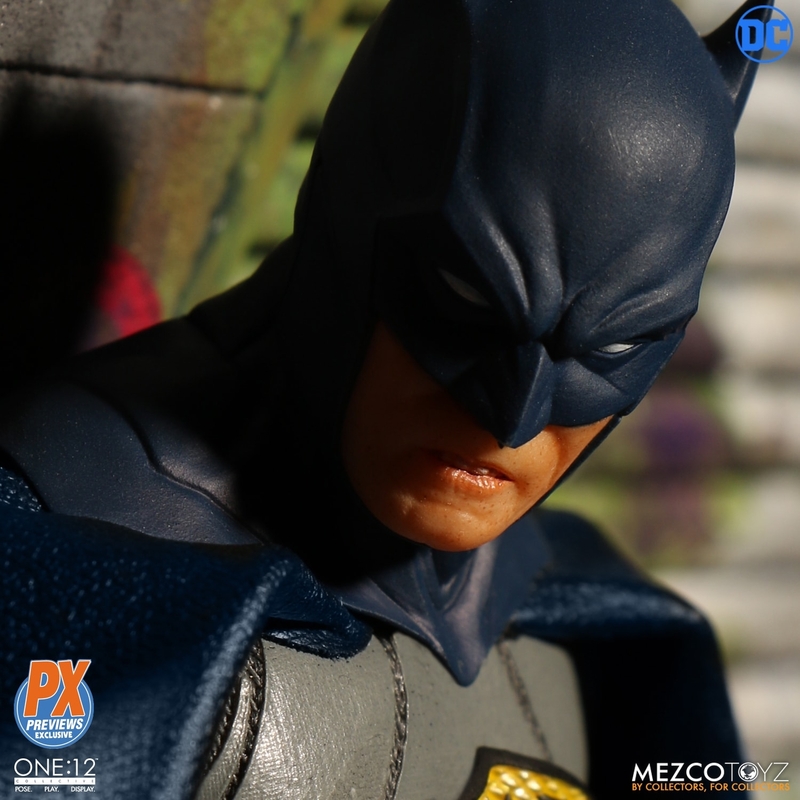 Within the One:12 Collective Batman Trilogy, this seasoned crimefighter is the Batman of the present day.